In Rwandan social norms, men were not used to be care givers when it comes to domestic works also known as unpaid care works. Due to the efforts of the Government and development partners, things changed slowly as of now some men can understand that their role in helping their wives to work for their family’s development is paramount. Innocent Rwambaranya, a citizen of Mwurire Sector in Rwamagana District with his wife Goreth Mukabatsinda were used to have social conflicts soon after they were married as a wife and a husband. Mukabatsinda whose life was in dilemma as she testifies could experience adequate stress by his husband and children could face poor education. “My life was at risk and I could not be happy at all, I was stressed by my husband along with all my marriage life. My husband was a drunkard and could not help me in any of domestic works,” Mukabatsinda narrates. 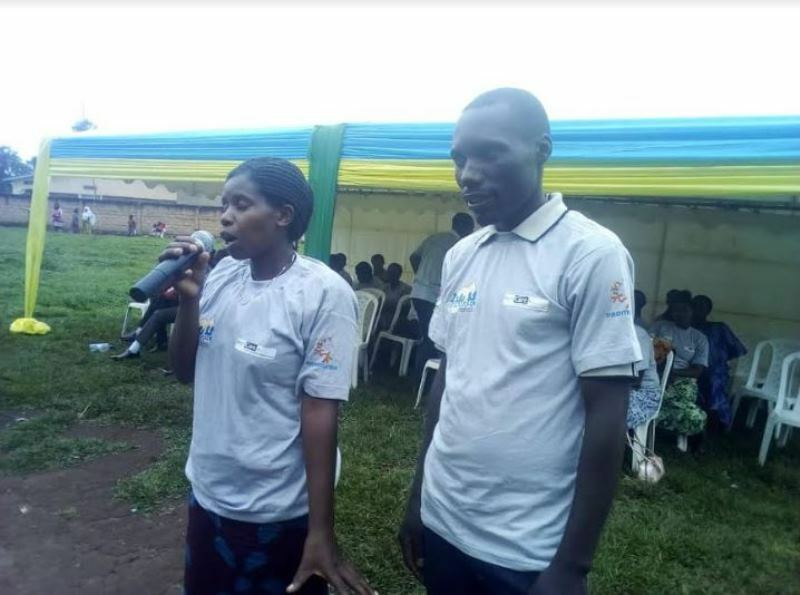 To date, Rwambaranya has become an ever loving and caring man as Mukabatsinda explains, Thanks to the training courses by RWAMREC, a non-governmental organization that works to promote gender equality and prevention of gender-based violence for Rwanda’s development. “RWAMREC came on time, there was a lot of misunderstanding in our family. After my husband followed training on gender equality and gender based violence by RWAMREC, he came home and did not tell me where he was but immediately he started making our bed as his own initiative and I got surprised when seeing him as it was the first time to see him making the bed since we got married,” says Mukabatsinda. “Now I am a lovely wife, when I breastfeed the baby and wash him, he dresses him and gives me opportunity to meet other people and I can express my ideas at home, he looks after the children even with my absence. Besides, he is no longer drunkard as he was before,” she adds. Rwambaranya himself says that after gaining the training managed to care his wife. “Before the training, I could not consider opinions and ideas of my wife. Now after that I need her ideas. RWAMREC came on the right time when I wanted to change. I started to save money up to Rwf200,000 on our bank account and we bought a motorbike,” he notes. Fidele Rutayisire, RWAMREC Chairperson says that it was proven that some achievements were attained after closing the project called “Bandebereho” in 2015, whose objectives included building a positive masculinity among men. The project that is funded by PROMUNDO, a global consortium organisation benefited the family of Rwambaranya and Mukabatsinda and many others in Rwamagana District’s four sectors and will be spread countrywide, starting from the four districts next year as the donor provides more support. The closed project trained 144 people as role models who also reached out 4,000 people in return by sharing good practices through training. Beneficiaries were trained on gender equality, budget planning for households as well as family planning methods.